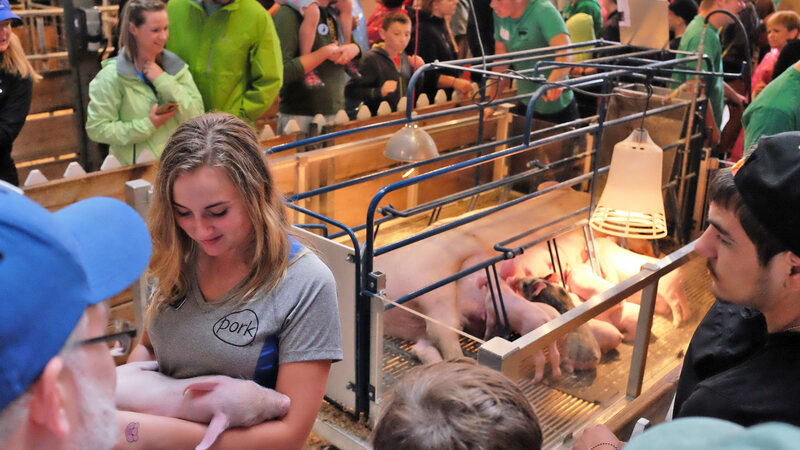 Get a glimpse into the world of pig farming! Take a 360-degree look inside a real Minnesota pig farm and see what farmers do to care for pigs, people and the environment. Learn more about pigs in narrated question-and-answer programs at 11 a.m. each day. See a sow and piglets up close! And don't forget to pick up your free pig ear headband!